I’ve owned a Pro Supex Dynamic Energy for about a year now, and I must say that I’m a fan. It’s a good racket, one that provides excellent access to spin, isn’t string sensitive at all (meaning that whatever string I throw in the racket usually feels pretty good), gives me with a bit of extra oomph on the days when I’m not feeling it, and is just an all around great frame. It’s not my preferred weapon on the courts, but I do enjoy the racket. Power: There is no doubt in my mind that the APDC is more powerful. It provides more oomph off the ground and on the serve. I hit the hardest serves I’ve ever hit today. However, this is not to say that the Dynamic Energy lacks power- there’s plenty of power to be had. However, there is a notable difference. Spin: I must give a slight nod to the APDC. While both rackets are spin machines, the APDC is able to generate more spin on all shots. Slice shots were beautiful coming off of this racket. Again, I must stress that both rackets provide excellent spin. Maneuverability: Considering that the APDC is a full ounce lighter, it’s more maneuverable. It’s easier to get into position at the net, and whips through the air a bit faster. The Dynamic Energy is not exactly sluggish, but it’s a bit harder to position on those reaction shots. Comfort: Here is a category in which the Pro Supex COMPLETELY blows away the Babolat. 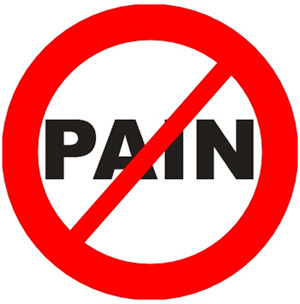 I have never experienced tennis elbow, but today my elbow was definitely in pain. 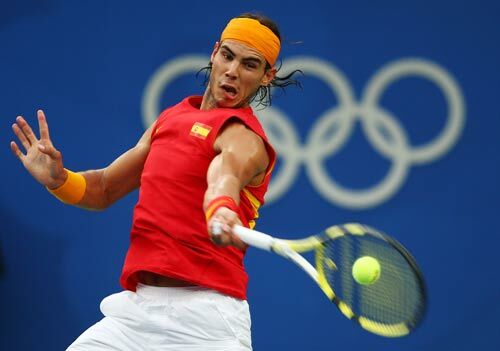 The Babolat is incredibly stiff, and that stiffness is very evident. While I can’t say that either racket was jarring on off center hits, the Babolat lacks the weight/stability and the moderate flex of the Dynamic Energy. 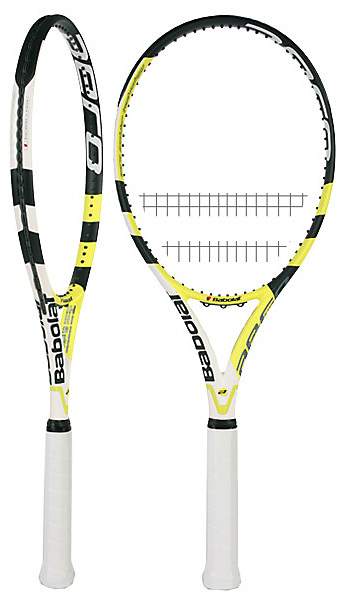 If you’ve been having trouble with tennis elbow, the Babolat is NOT a frame that should be on your demo list. Overall: In my opinion, the Pro Supex Dynamic Energy is an excellent imitation of the Aero Pro Drive line. While the two are not the same, the two play similarly enough that there is very little doubt they’re related. If you lead up your rackets and are looking for a heavier Aero Pro Drive in stock form, the Dynamic Energy is an excellent racket to consider. If you’ve been enjoying the Aero Pro Drive, but not so much that tennis elbow that comes with it, try the Dynamic Energy. Considering the $65+ difference in price, there is no doubt in my mind that the Dynamic Energy is a worthy alternative to the Aero Pro Drive. Head on over to the Tennis Depot to pick one up today! Being in the business of racquet customization, I am constantly surrounded by players (like myself) that are very particular about their equipment. Many start out slowly in the sport, usually with a used or big chain store-bought racquet After all, you never know whether your newly found hobby will turn into some serious competition or remain as an occasional activity for sunny Sunday afternoons. Assuming you have followed the former path, chances are you have moved on to purchasing a “performance” frame (or two or three) and have become enlightened into the world of stringing. In my experience, the more time invested in the sport, the greater the need to have confidence in your equipment. If you have yet to experience the anxiety of breaking a string in the middle of a crucial match, it can be an extremely unsettling feeling. Knowing that over in your bag sits an identical back-up racquet can do wonders for your piece of mind; the opposite can also have you second guessing your chances. Having an identical back-up racquet (or two or three) means having more than just the same model frame sitting idly by your side. Everything that goes into or on your frame will affect the three big spec’s of racquets: static weight, swing weight and the balance point. A vibration dampener can often add 5 or more grams to the static weight and make the racquet swing a little heavier as it is placed in the string-bed higher than the midpoint. Overgrips are one of the most overlooked additions that alters the vital stats; a concentration of weight on the handle can easily make the frame a point or two more headlight that the previous balance. I see a lot of bumper guard tape on frames which easily increases the swing weight and makes the racquet more head heavy.Strings can alter a racquet beyond just their playing characteristics. Two similar strings of different gauges can vary substantially in weight, thus altering the frame’s stats. Want to know the worst part? Even if you have your racquets setup identically (strings, grips, dampeners etc.) chances are they will still differ in static weight, swing weight and balance; possibly up to half an ounce. We can thank poor quality control from racquet manufacturers for this discrepancy. This is how we can explain the fact that players often have a racquet that is their “favorite”. This choice isn’t just in your head; with differing weights among your gear you are bound to prefer one over the others. 1. If buying new frames, ask your dealer if you can weigh them on a scale. If they have good stock of frames, you can make sure to buy the two or three (out of five or so) that are the closest in weight. 2. Make sure your racquet setup (grip, overgrip, strings, dampener, etc.) is the same for each racquet. Even though each aspect that differs doesn’t make a huge difference in weight, a little goes a long way in how a racquet will respond on court. 3. Get your racquets custom matched. This is the only way to completely ensure that every racquet has an identical static weight, swing weight and balance point. It may seem overkill, but you can’t put a price on confidence and piece of mind. If you have any additional questions about customization, please contact me through Sweetspot Tennis , where I offer affordable racquet customization and matching. Look for more customization blogs in the near future. We have received TONS of requests on the blog post position. We are thankful for so many supporters. Our customers are the reason why The Tennis Depot is the fastest growing online retailer. With one of the largest distribution networks in the world, The Tennis Depot is truly the premier online tennis destination. All those who submitted applications for our new position; we would like to thank you for giving us the opportunity to select you. We are sorry to say that we are unable to select all applicants. As we have received over 30 applications, only a few will be selected. Regardless if you join our team or not, we do wish you the best of luck and hope to interact with you in the near future. Don’t forget, the sympoisum we have all been waiting for is this upcoming weekend. The Tennis Depot will have staff members throughout the entire 4 day event. Additionally, we will have a booth during the trade show (Monday). We will be representing 3 brands we distribute; on the behalf of Genesis, Pro Supex, and Topspin. For a quick preview, there will be some new products in the Genesis lineup. As for Topspin, we will be inviting all guests to take a look at the Topspin Xtreme Racquet series, offered exclusively through The Tennis Depot. Just wanted to follow up with you from the Easter Bowl. I had the banner up and waving in the area we were stringing in. I was suprised how many people commented that they knew of or used Pro Supex before. Several people even brought some in for us to string with! This is a great sign, as only the best tennis players in the country were at this tournament. I also sold some string to many different juniors, who commented that they liked the way it played (as well as the PRICE!). As always the big seller was big ace, though several players asked for maxim touch, since we did not carry wilson NXT. One kid had me string 8 of his racquets with a blue gear/big ace hybrid. He really loved the stuff. I gave many people the info on the string and where they could get some (your website). So what are you waiting for? Get on the bandwagon and try Pro Supex- the strings for winners! For more info on the full line of Pro Supex products, please visit www.prosupexusa.com. For ordering, visit our retail website: www.stringsdepotplus.com. The Pro Supex Dynamic Energy, a high-performance racquet with similar specification to the Babolat Aero Pro Drive has an entirely new look for 2009. The 2009 Pro Supex Dynamic Energy provides the player with metallic blue paint and a shiny finish. The Dynamic Energy is a terrific racquets and offers great access to spin. Our testers really loved the unique combination of power and control affored by this racquet. Demos are available! Click here for more info.